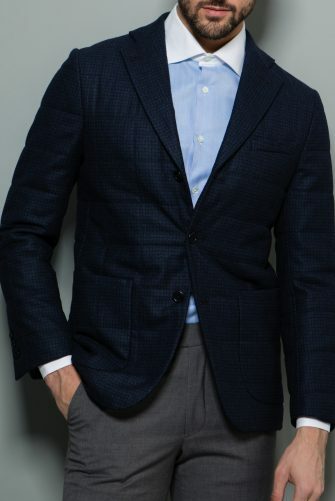 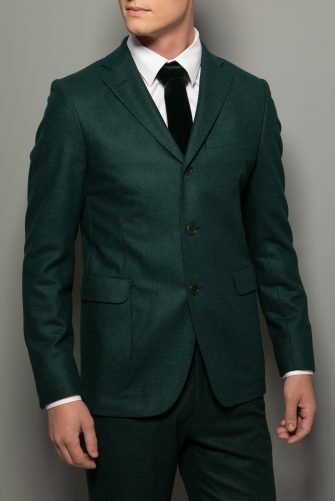 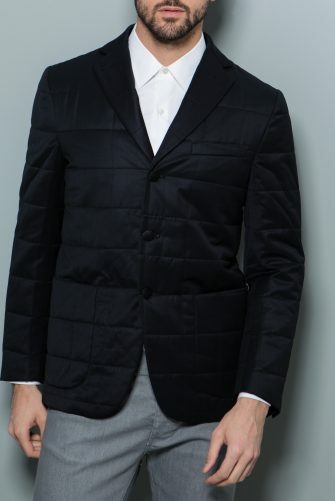 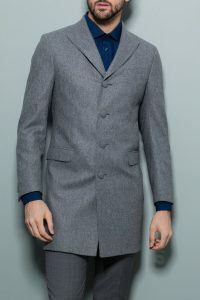 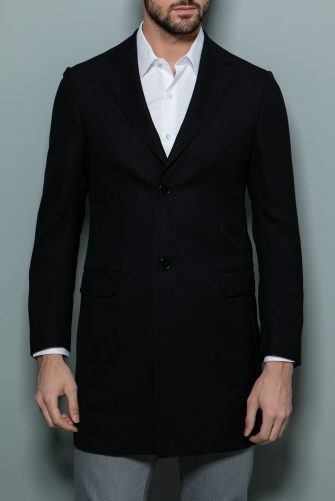 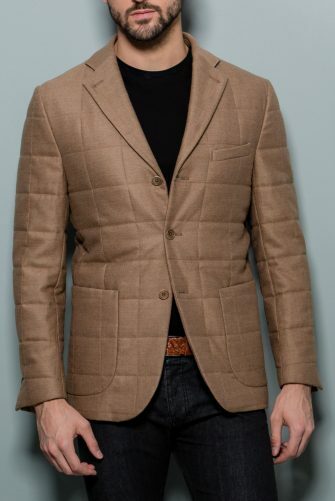 This four-button single breasted coat is a great combination of unique, smart, and functional. 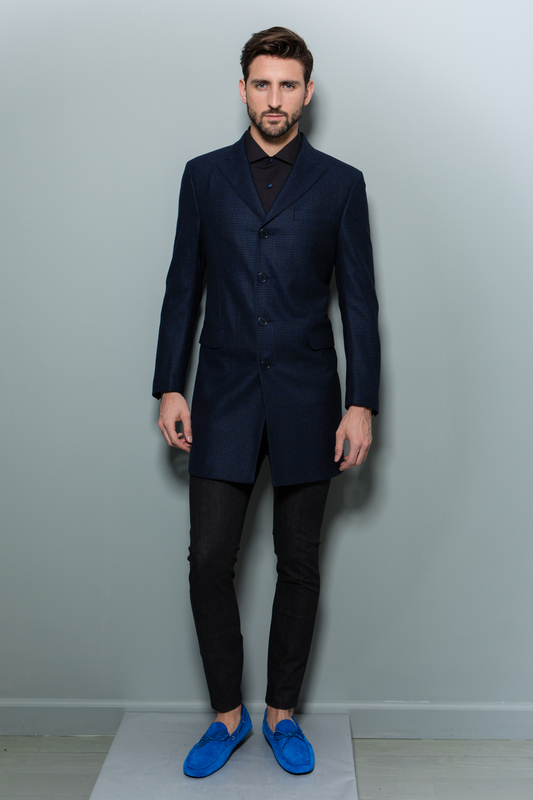 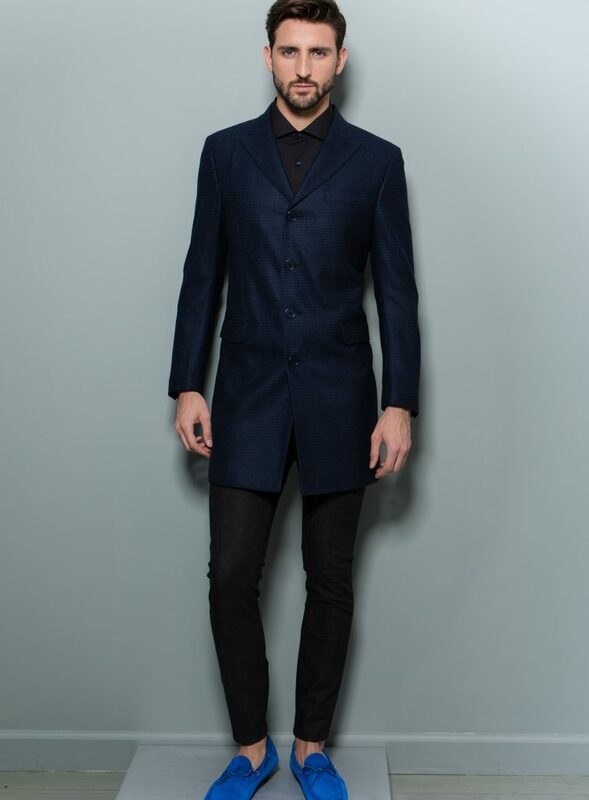 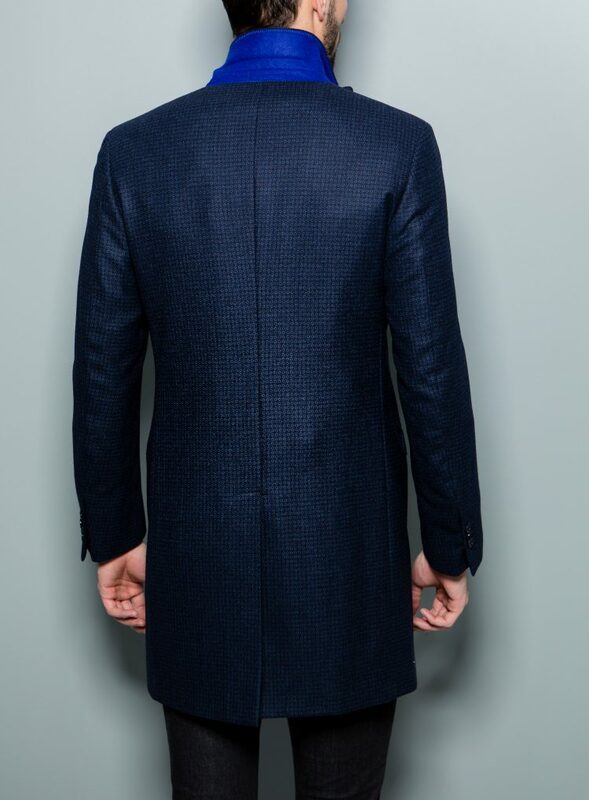 This coat has functional button holes with corozo buttons for an added tailored feeling. 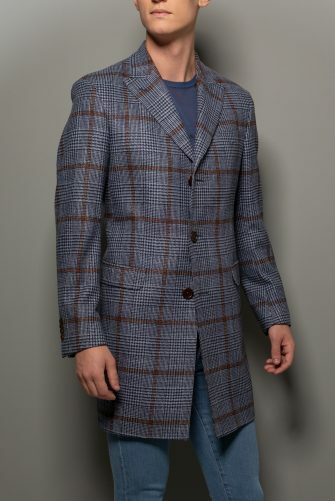 The textured print of the fabric makes this coat extremely unique. 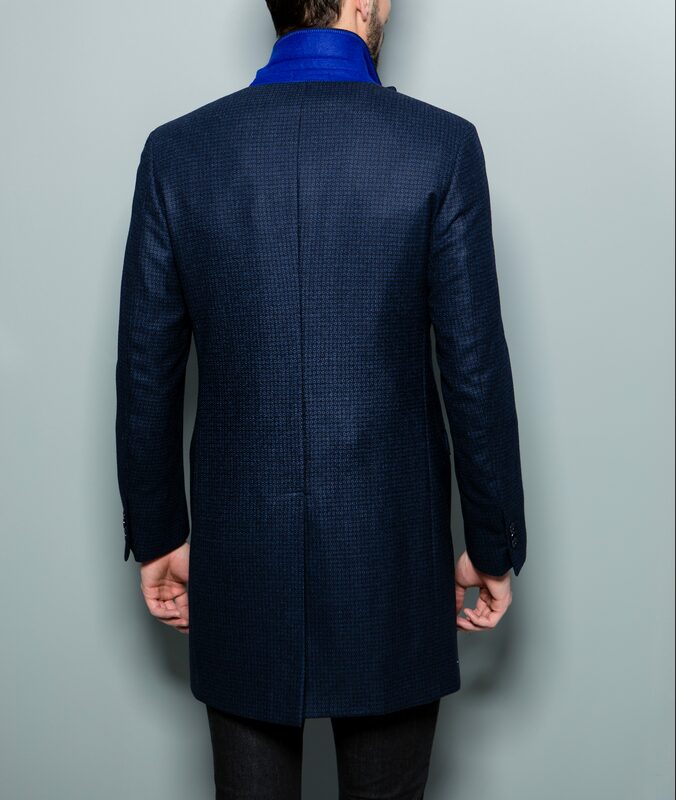 The signature Stephen F Blue under collar and inner lining are also details that make it special.